Interview series. Playwright David Greig finds out what it takes to be a successful runner of extreme distance, and why people do it. What does it take to be a successful runner of extreme distance, and why do people do it? David Greig is the Artistic Director of the Lyceum Theatre in Edinburgh and an internationally successful playwright. He's also an ultra-marathon runner who has twice completed the punishing 96 mile West Highland Way amongst many other long-distance races. He took up running fifteen years ago when he stopped smoking and running has since become an endorphin-fuelled obsession. For One to One, David speaks to two fellow runners. 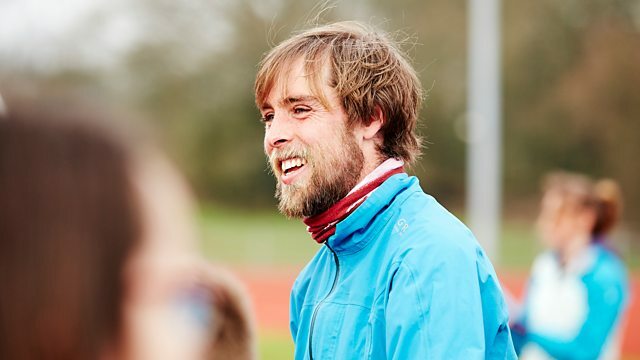 Today, he meets Ben Smith who - at the time of their conversation - was attempting to set a world record by running 401 marathons on 401 consecutive days. Following a difficult childhood and a challenging time during his 20s, Ben discovered running and it became a form of confidence building and healing. Out of this new sense of confidence, Ben decided to set himself an outlandish challenge, and the 401 was the result. David Greig running the 44 mile Devil of the West Highlands race.